In the span of just one week, two Colorado utilities committed to a cleaner future. On Dec. 6, the board of directors of the Platte River Power Authority voted unanimously to commit to a goal of using a 100 percent non-carbon resource mix by 2030. The Platte River Power Authority is jointly owned by the communities of Estes Park, Fort Collins, Longmont and Loveland. This commitment comes just two days after major utility Xcel Energy announced its plan to commit to reducing carbon emissions by 80 percent by 2030 and by 100 percent by 2050. 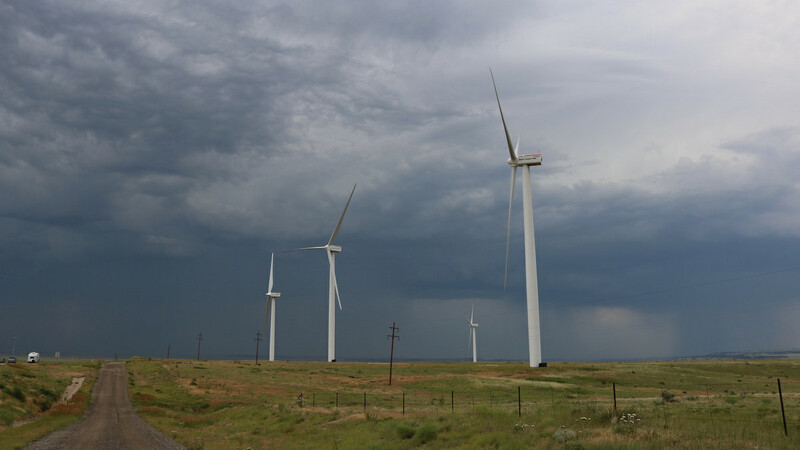 Photo: Huerfano Wind Farm in Huerfano County, Colorado. Credit: Jeffery Beall via Flickr CC-by-2.0.